I love these boots they are good quality boots hard wearing made from quality materials fully waterproof and Soooooo comfortable???? I can wear them all day and when I get home I usually I would take my boots off straight away but with these it's just like wearing a comfortable pair of slippers! I highly recommend and if I should ever need to replace them I will get another pair. As far as how they fit I take a size 9 shoe but required a size 10 boot. Got the forma adventure long and short. Could not make my mind up. Kept the short boots more practical for my needs. Very happy with purchase. 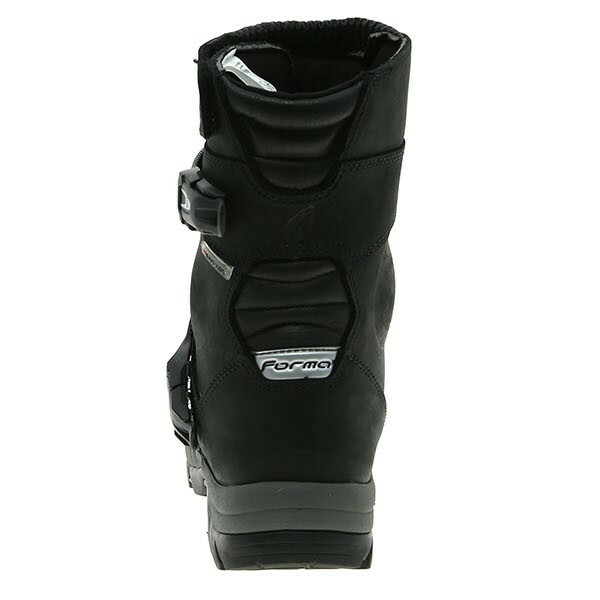 Returned long boots easy proces contact sportsbike give reason for return. Later receive email containing a free return label. Drop of at local pickup shop and that's it. Can even track the return. Money in bank next day after returned. But I love the short boots. I have had the taller version of these for a couple of years and they are great, kept the elements out in the worst conditions. I bought the shorter version for commuting, they are shaping up to be as good as the last ones. Got these boots on special offer for £110. Great price. The boots are excellent to wear all day even when walking. Good quality made boot. Great service from Sportsbikeshop, next day free p&p. At last a pair of motorcycle boots not made to fit ballerinas. These are a nice fit for wide feet. Went up 1 size and they are really comfortable. 1st ride out, 130miles on a hot day 30c, did not notice I had them on. A bit worried about the quality of the clips / straps but look OK and can be purchased as spares. Build quality looks good but time will tell. The whole service from Sportsbikeshop was absolutely amazing & to top it the Boots are excellent as well!!!! I have trouble finding boots that I can fit properly as I have very wide calf's. These do the job perfectly. Comfortable from the start. Good value for money. Very pleased with my purchase and the service from Sportsbikeshop. What a comfy pair of boots. I have the brown ones and been riding in them all year so did not hesitate to choose these as a new and different option. Very nice, cheers. 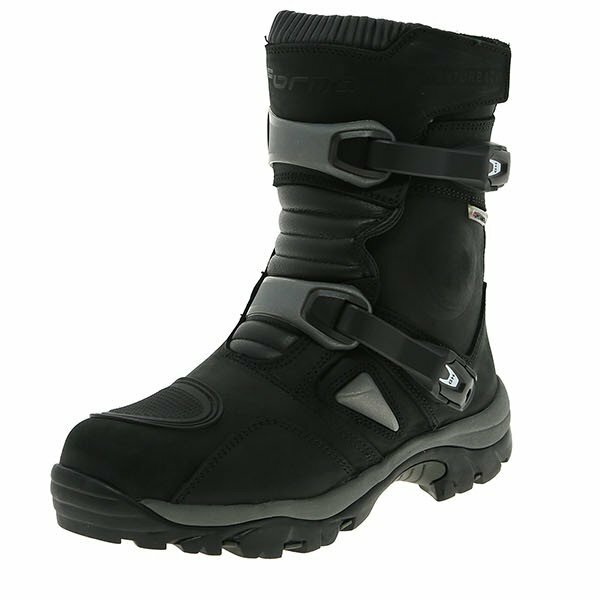 Due to the special lightweight sole design, these boots are not recommended for use with kick-start bikes or with motocross style footpegs. 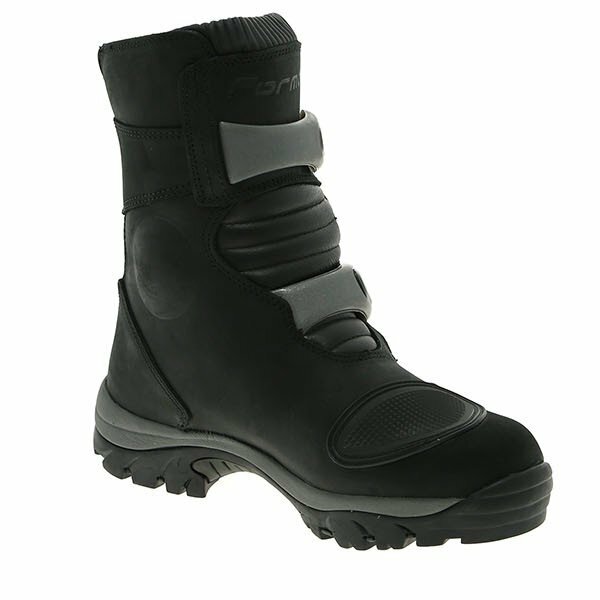 The new Forma Adventure low combines the comfort and flexibility of a road boot with features of an off-road boot. 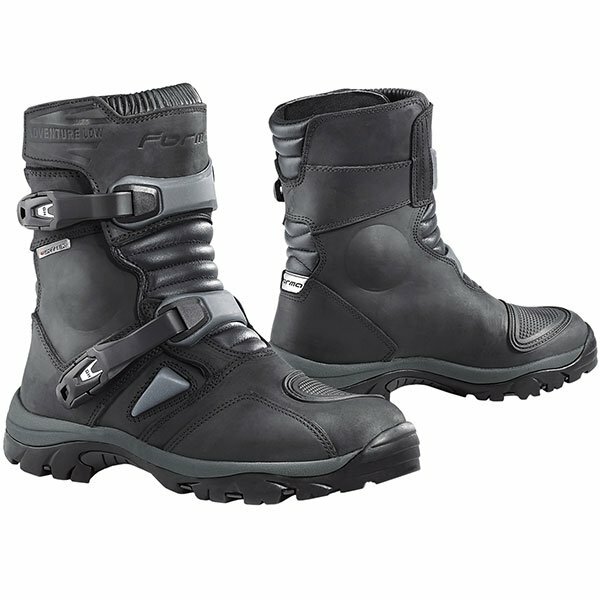 Perfect for adventure touring, and for riders with larger calves. Forma was born at Altivole, Italy in 1999. Created by Mr. Ivano Binotto and his wife Mrs. Simonetta, who for 25-years were part owners & managers of the largest producer of OEM off-road motorcycle boots in the world Their 25-years of know-how and experience enabled them to develop a new and innovative range. Since that time Forma has continued to grow and is currently sold in more than 60 countries. The company is highly specialized and produces all types of motorcycle boots. Maximum attention is given to safety. Almost all of the range (with only the exception of some urban shoes) are CE approved EN 13634:2010/12 by the main Italian testing and research centre Ricotest. The Forma brand today aims to continues its growth. Their enthusiasm concerning the product range, with the potential to offer only the best product together with the excellent assistance through sponsorship investments in sports championships has made the brand more recognizable throughout the world. 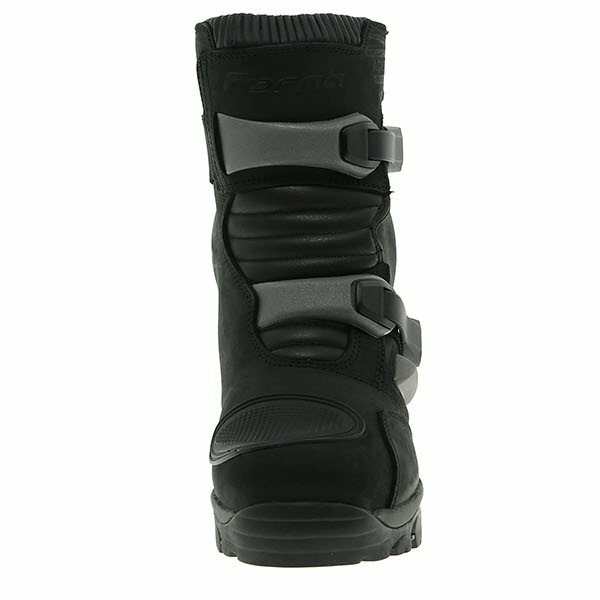 On the size 42 boot, the top of the boot measures approximately 38cm from the floor. They would be suitable for winter use, as long as your trousers are long enough to wear over the boots.